Honorary Award from the Chartered Institute of Housing Professionals, Counselling Skills, Adult Education Practice Certificate, Diploma in Business Studies, HNC Housing Studies, PGDip (with distinction) in Addictive Behaviour, NVQ Level 5 in Management, ILM level 5 in Leadership, qualified facilitator in the ‘Strengthening Families, Strengthening Communities parenting programme (teenagers), Common Purpose Graduate, Top Manager Graduate. Worked in finance for twenty years, mainly in manufacturing, up to an annual turnover of £25 million. Experience covers producing monthly accounts and forecasts, preparing budgets, standard costing, job costing, asset and stock management up to £3 million and payroll. Qualified to the management level of the Chartered Institute of Management Accountants (CIMA). Diane has worked as a civil servant for over 25 years, managing projects in the public, private and voluntary sectors. She has extensive experience in partnership working, cultivation of relationships and monitoring of performance. 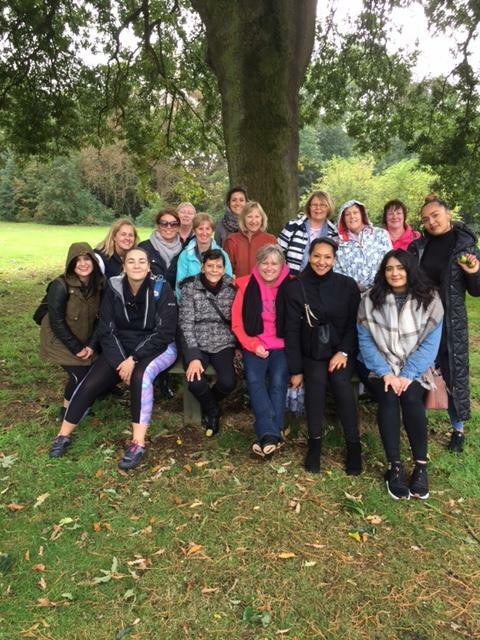 Qualifications include a NVQ Level 3 in Health & Social Care, ECDL Levels 1 and 2, Introduction to Counselling, Counselling Skills for non counsellors, and a certificate in Transactional Analysis. NVQ Level 3 in Volunteer Management. An Integrative Psychotherapist and Counselling Supervisor, with over 30 years experience in management and co-ordinating in the voluntary, as well as statutory, sector. Marvet has over 20 years teaching experience, and works part time with Derby Adult Learning Service teaching counselling skills from basic up to CPCAB L3. Marvet also has her own private practice in Counselling Psychotherapy. Debbie has over 30 years experience working for social care organisations in Administration and/or Management roles. She has experience of working for older people’s services in both public and private sector and children and young people’s services within the public sector. Debbie holds the Level 5 Institute of Leadership & Management and NVQ Level 4 in Management qualifications. NVQ Level 2 and 3 in Administration. ECDL computer course parts 1 and 2, a City and Guilds in IT. NVQ Level 2 in Health and Safety in the workplace, Human Resources Business Practice Certificate. Counselling skills, NVQ Level 3 in Health and Social Care, NVQ Level 2 in Health and Safety, vocational qualification in Business Development, Registered First Aider. Qualified facilitator of the ‘Strengthening Families, Strengthening Communities’, Parenting Programme and ‘The Freedom Programme’. Sian has previously worked at Nottingham Women's Centre helping vulnerable women get back into education, employement and training. Prior to this, she was a volunteer at Women's Work from 2015-2017. Sian achieved a 2:1 in Disaster Management from Coventry University in which her dissertation investigated how disasters affected women in comparison to men. Simona has previous experiences in adult health care and in childcare. Following her passion for children wellbeing, she first worked for a nursery and then joined Women’s Work in March 2018. Here, Simona offers support to children and their mums during difficult periods of their life. Simona achieved a 1:1 in Educational and Child Psychology and is now a qualified facilitator of the Care for the Family 'Positive Parenting Programme'. Simona is also our paediatric registered first aider. Having over 15 years experience of working with children and families, including eight years working in a refuge for women fleeing domestic abuse, Karen has gained a 2:1 BA(Hons) in Social Work, is a trained faciliator for the Freedom Programme and has recently completed Level 3 Award in Education and Training. Obtained a BA(Honours) in Health, Community and Social Care Studies from the University of Derby in 2008, Kaysha has over 10 years experience of working with vulnerable children and families, within mental health, housing, refuge work with complex women fleeing domestic violence as well as supervising contact sessions with children looked after by local authority care before joining the Women's Work team in 2018. Dionne has over 17 years experience working for Women’s Aid in the voluntary sector supporting women and children in refuges who were experiencing domestic abuse. She gained a BA(Hons) in Social Work at the University of Derby before joining the Women’s Work team in August 2017. Over 10 year’s experience working with a wide variety of people including young children, children with disabilities, male offenders and female offenders. Qualified at NVQ Level 2 & 3 in Supporting Teaching and Learning. Bringing a wealth of experience from working abroard with specialities in numerical, quality control and a vast experience with members of the public and all staff levels within large organisations. Tessa has worked with people with complex issues for over 20 years in the Derby Area. This includes working in Local Authority Children’s Homes, Youth Offending Service and the Anti-Social Behaviour Team. Tessa holds an Advanced Level 3 BTEC in Case Working in Nuisance Neighbourhoods and Anti-Social Behaviour. Christine holds a certificates in Fire Training and Instruction, Control of Infection and Food Hygiene. Pauline Latham was elected as MP for Mid Derbyshire in 2010. She had been a Councillor since 1987. She was honoured to hold the position of Mayor of Derby during 2007/08. Pauline is married to local architect Derek and they have three grown up children and three grandchildren, Poppy, Harry and Oscar. She was born in Lincolnshire, brought up in Nottinghamshire and has lived in Derbyshire since 1970. She has a special interest in education issues, was a school governor for 12 years and was a parliamentary candidate for Broxtowe in 2001 and stood as a European candidate in 1999 and 2005 for the East Midlands.